» Do you believe in your leaders? » Does your line manager support you? » Are promotion and reward given fairly? » Do you compete with your colleagues or try to get along? 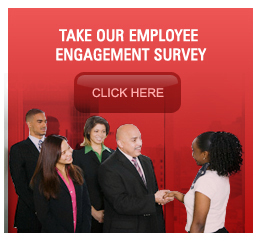 Please click here to take the Employee Engagement Survery. © 2009 camrose employee engagement. All Rights Reserved.